ADVANCE at the University of Michigan announces the Elizabeth C. Crosby Research Award to help meet career-relevant needs of individual instructional, research, and clinical track faculty in science and engineering if meeting those needs will help increase the retention or promotion of women scientists and engineers. Several grants of up to $20,000 will be awarded. The ADVANCE Program reports each year on the Elizabeth Caroline Crosby Research Award recipients and how the funds were utilized by awardees. Announcements of awards will be in February. World-renowned Neuroanatomist, Elizabeth Caroline Crosby (1888-1983), began her long and distinguished career at the University of Michigan in 1920. Starting as an Anatomy instructor, she rose through the ranks to become the first woman full professor of the medical school. A dedicated researcher and teacher, Dr. Crosby published extensively in comparative anatomy and received several prestigious awards. 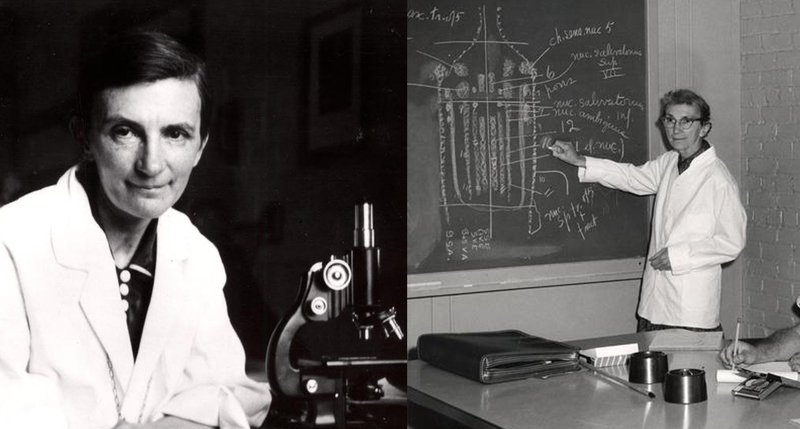 She was the first woman to be awarded the Henry Russel Lectureship at the University of Michigan (1946); she earned the Henry Gray Award in Neuroanatomy in 1972, and the National Medal of Science in 1979. After her retirement in 1958, at age sixty-nine, Dr. Crosby served as a clinical consultant at both the University of Michigan and University of Alabama, where a former student held a faculty position. Although she never married, she adopted an 11-year-old girl in 1940 and another girl in 1944. She remained active in scientific work until the end of her life in 1983, at the age of ninety-four. Since 2002, 167 Crosby Grants have been awarded. 27% of Crosby recipients have used a portion of their funding to assist with child or other dependent care needs.